Do two steps at once to complete this quilt in record time. Fabric is cut into strips, the strips are sewn together, and then the smaller sections are cut. This makes it easier dealing with a 1" strip. 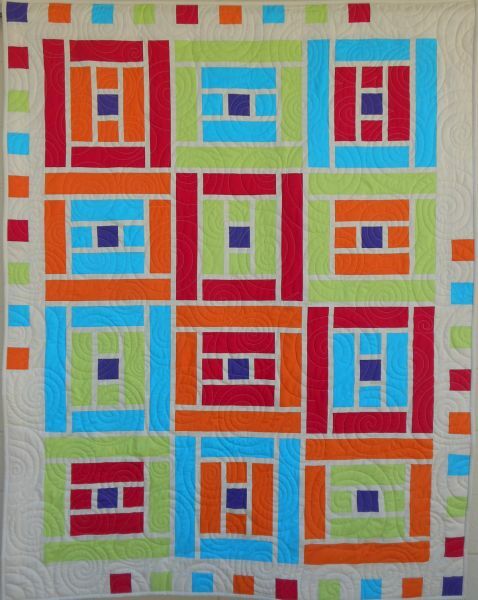 Mix and match colors for a playful or serious quilt. Enjoy! The cover quilt features American Made Brand fabrics that come from cotton grown and manufactured in the USA!